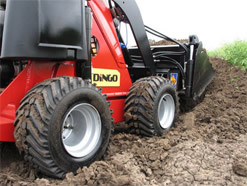 Dingo Hire in Perth from Rent A Dingo is the easy way to hire a Mini Digger or Dingo. We also hire Mini Excavators, Dumpa's, Mini Tippers, Landscape Packages, Compactors and Bricksaws. Delivery and collection is free, to and from most suburbs in the Perth metro. Rent A Dingo has been hiring Dingos to trades, businesses and DIY-ers in Perth since 2002, and is now one of the largest Dingo Hire companies in Australia. With strong work ethics, customer service, maintenance programmes and free delivery, our customers are quick to use our dingo hire services time and time again, and recommend us to their friends. Originally being Dingo contractors, the owners have the knowledge and expertise on all aspects of the Dingo and attachments. Rent A Dingo has a fleet of trucks delivering Dingos & other equipment over the metro area 7 days a week. And yes, our deliveries are FREE! We have the latest equipment, which are regularly serviced, cleaned, and delivered on time. We know you want the best, so all our machinery is regularly updated. 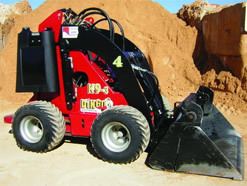 If you don’t want to Do-it-Yourself, Rent A Dingo can supply you with a operator as well. All our contractors are qualified and have years of knowledge behind them.